With more than 2,000,000 set-back boxes installed worldwide, Catapult is the preferred provider of hospitality in-room entertainment hardware. 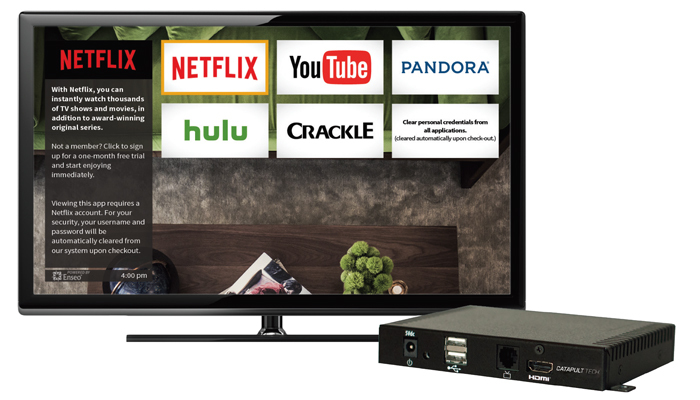 The most reliable platform, the HD3300’s standout features include Over-the-Top (OTT) applications, faster channel-change time, and fully customizable theme layouts,that only just scratch the surface. The HD3300’s capability extends far beyond in-room entertainment and is aptly described as an in-room platform. Using simple plug-in modules to add additional functionality, the HD3300 can instantly become an access point, IoT hub, and an associate distress beacon. These products are fully supported by Catapult’s software library/API and feature superior reliability and scalability in which Catapult is known for. Catapult’s hardware supports video processing with full-frame rate playback of HD video up to 1080p resolution. The quality of video playback meets or exceeds software and PC solutions. Embedded platform with no fan or moving parts, offering the highest reliability for a scalable roll-out. Easy to configure, install and remotely manage, offering lower total cost of ownership and operation. 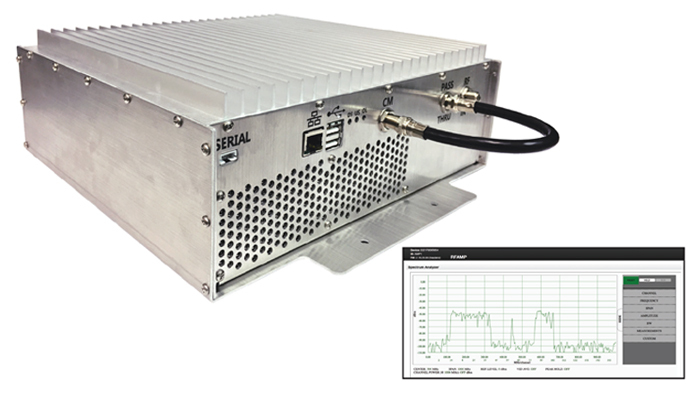 Underneath its shiny exterior, the Catapult RF Amplifier is a broadband indoor distribution amplifier designed to support the CATV and MATV RF signal distribution system. It uses a power-doubling amplifier design providing maximum output efficiency while maintaining low distortion signal characteristics. Catapult Technology’s UHD4000(D) is the most advanced 4K In-Room Platform on the market today. Built on Catapult’s unparalleled experience as the leader of in-room and digital signage technology, the UHD4000(D) guarantees to impress. With hardware decoding for H.265/HEVC and VP9 paired with High Dynamic Range support for HDR10 and HLG, your customers will get the best quality on 4K. 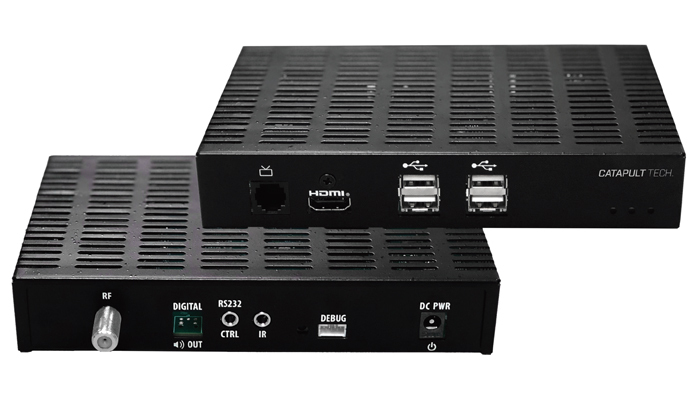 The UHD4000D’s integrated DOCSIS 3.0 cable modem allows for seamless wired IP connectivity in all rooms, including those without ethernet cabling. When installed with the Catapult C-CMTS and Catapult Emblem RF Amplifier, balancing and maintaining the RF plant can become a remote operation increasing your operational efficiency. Hardware video processing that supports UHD 4K resolution at 60 frames-per-second and decoding H.265/HEVC and VP9. HD content is converted to 4K resolution to ensure the best possible picture, regardless of the source or content. Embedded platform with no fan or moving parts, offering the highest reliability for scalable roll-outs. Easy to configure, install and remotely manage offering lower total cost of ownership and operation. 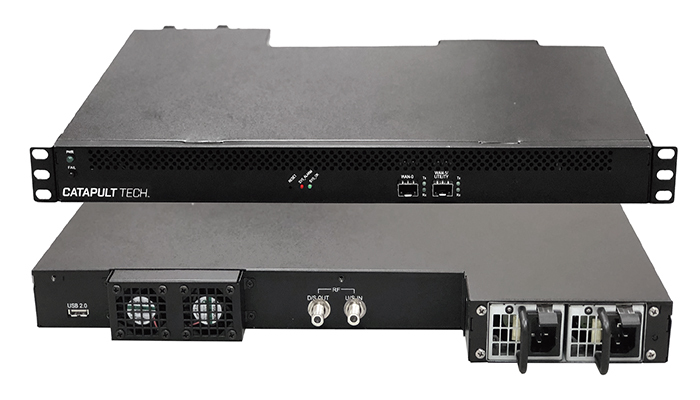 With the introduction of the Compact Cable Modem Termination System (C-CMTS) in hospitality, the cost to deliver IP connectivity in each room became significantly lower by eliminating the need to re-cable and remodel. Using the coaxial cable that already exists in nearly every hotel room, the CMTS provides connectivity for IP services such as internet, entertainment, voice, and IoT. The Catapult C-CMTS pushes the limits featuring an industry leading capacity of 500 DOCSIS 3.0 cable modems and is capable of delivering total network throughput of over 1.3Gbps. Supports up to 500 cable modems (DOCSIS 3.0) per C-CMTS. Two 10Gb SFP+ interfaces allow for the bandwidths of greater than 1.3Gbps of usable data.